This fabulous couple were the perfect ‘medical’ match as they sealed the deal to become Dr & Dr Crome at Ta Mill last September.Friends and family arrived on Friday evening and enjoyed settling into their accommodation and having a relaxed evening catching up with each other. 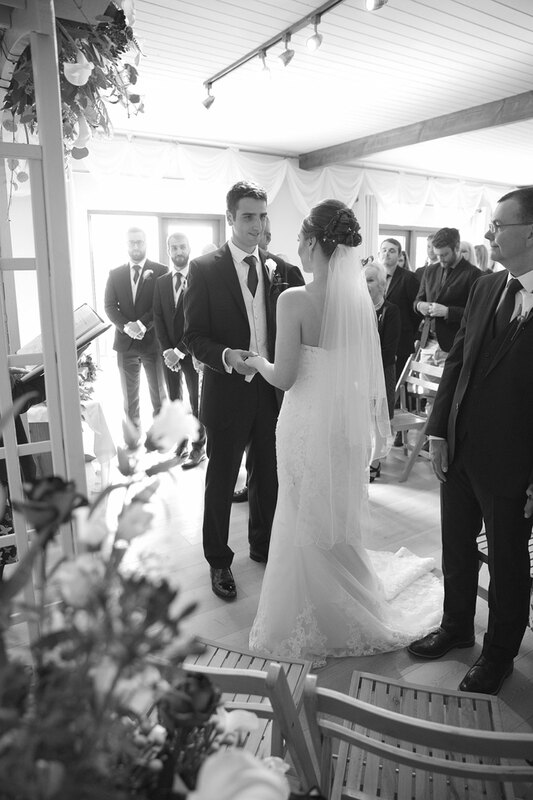 The next morning there was an air of excitement of ladies and groomsmen getting ready and the bride was particularly pleased with her hair and make-up artist from Little Laurens Bridal Beauty . 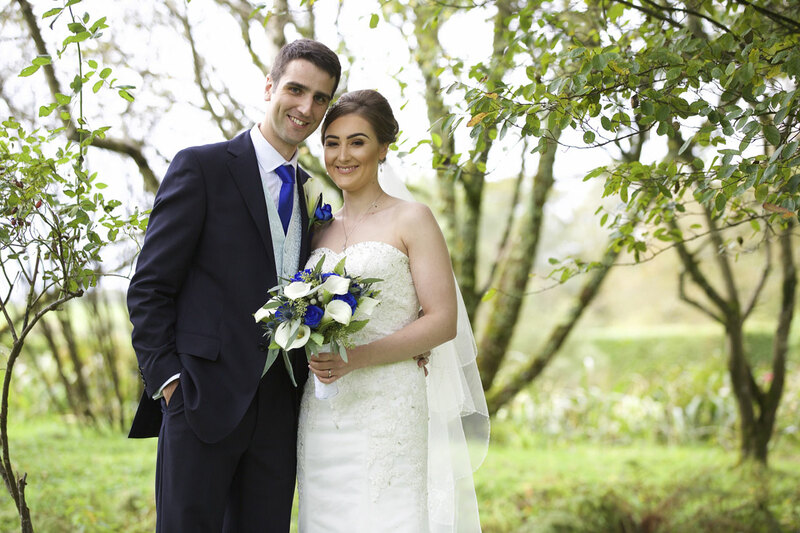 The brides dress was beautifully styled in a classical shape and Anneliese looked absolutely stunning. Royal Blue was the colour of the day and was a fabulous contrast to the white and blue-silver waistcoats that the groomsmen wore. 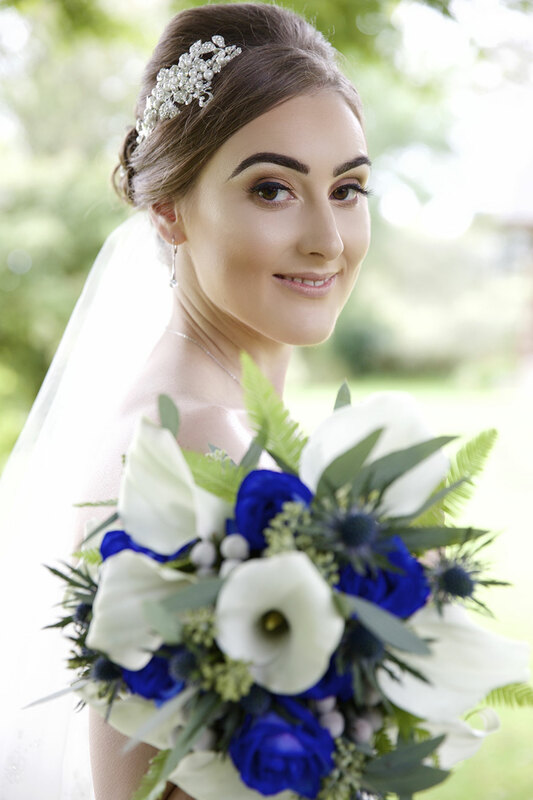 To top it all the bouquet and floral arrangements were a fantastic array of blue roses and white lillies created by Flower Scene. Anneliese loved her bouquet so much that she held on to it all day! 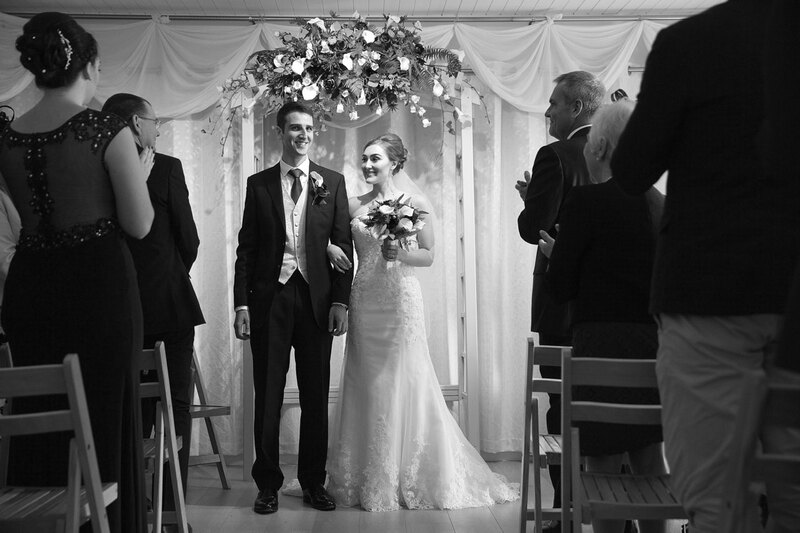 Although an outdoor ceremony was planned, the threat of a shower resulted in an intimate indoor ceremony but both George and Anneliese actually felt it worked out even better. 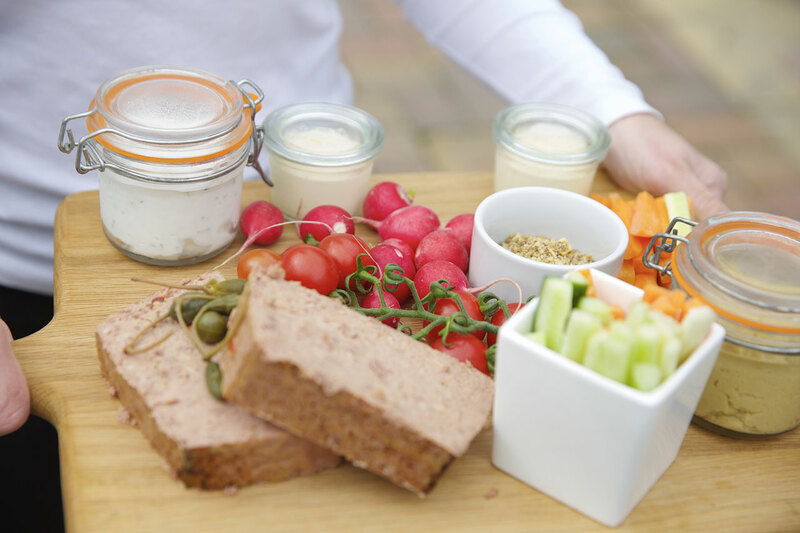 The sun popped out after the ceremony and delicious canapés including crab, chilli and ginger tartlets were served in the courtyard by The Good Food Catering company. 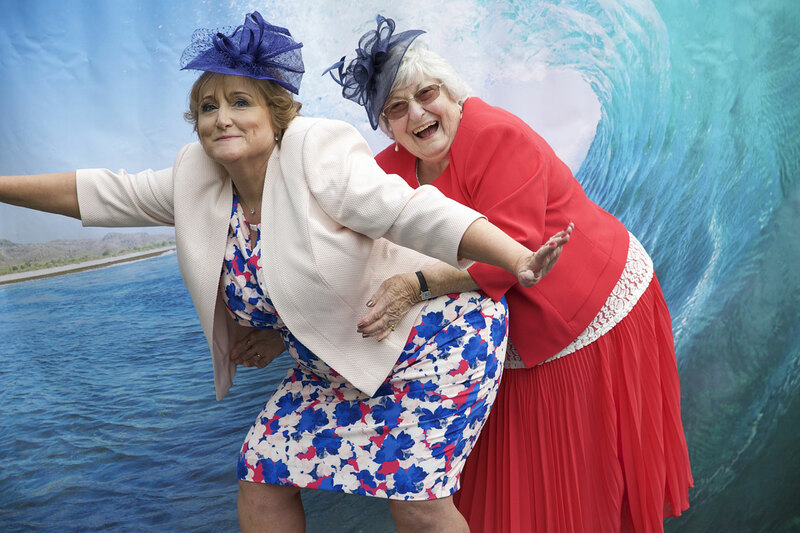 With a nautical, surfing theme in mind, the couple designed their very own ‘sea view backdrop’, provided the surfboard and let their guests test the water! Some fabulous photos transpired! 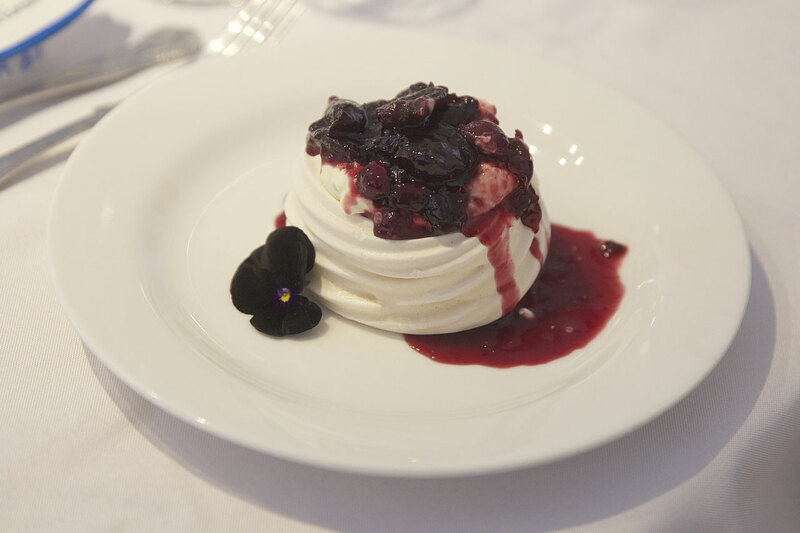 The wedding breakfast served in the courtyard room included lamb shanks and individual pavlovas and once again The Good Food Catering company did not disappoint. The 3 tiered cake consisted of a chocolate fudge, lemon and genoise vanilla sponge created by Anneliese’s mum and looked great. Mike from Ocean City Djs provided the evening entertainment and with no particular playlist in mind, Mike read the room astonishingly well and the couple were really pleased with his style. With the warmth of a fire pit to huddle around and a cosy bar area in the marquee, the guests enjoyed dancing, socialising and feasting on delicious freshly baked wood-fired pizzas from the horse box of Wild bake. At the end of the night, George and Anneliese completed their celebrations with fireworks and so from the elevated lawn above the wildlife pond, the glittering display reflected in the water under the stars. 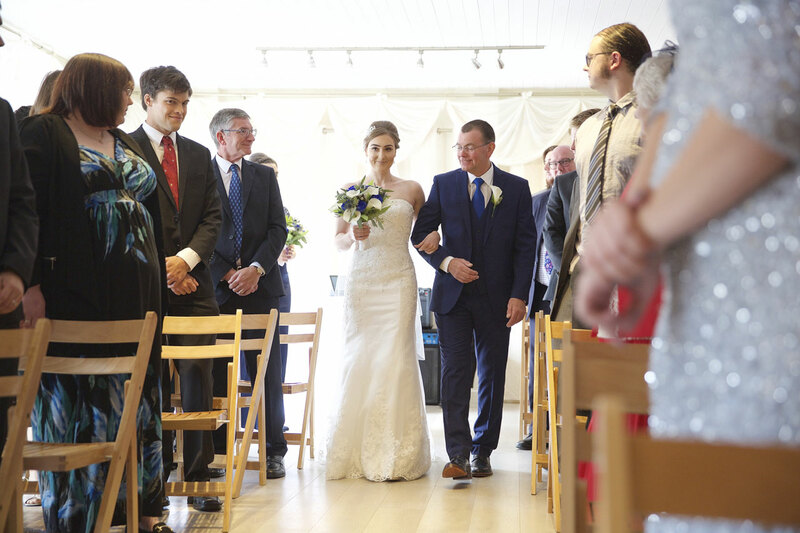 The wedding weekend did not stop on the Sunday, as George and Anneliese decided to stay another night and enjoyed relaxing with family and friends until the Monday morning. 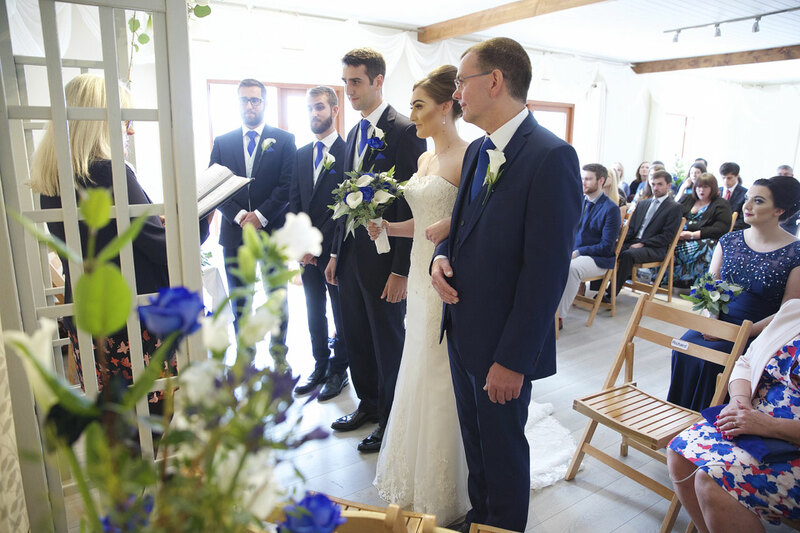 Pictures say a thousand words so enjoy the photographs below where Emma from EJL Weddings has captured this wonderful weekend. 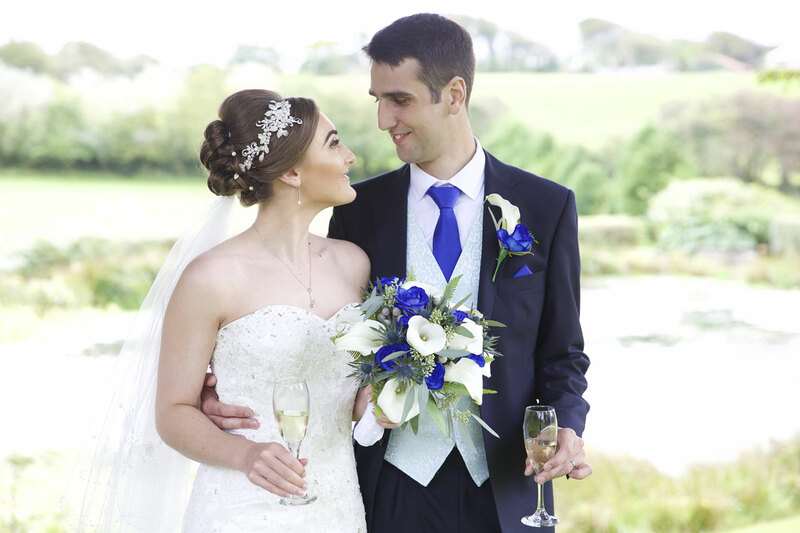 “It was a pleasure to be able to have our wedding at Ta Mill in September 2017. Everyone was very friendly and helpful on the day and Helen went out of her way to ensure we got all the little extras we had hoped for to make the day so special!